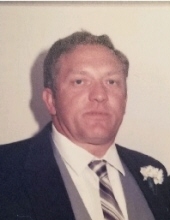 Mr. Clifford Dean Gilbert age 77, of Vanceburg, Kentucky, passed away Saturday, April 13, 2019, at his residence. He was born December 14, 1941, in Lewis County, Kentucky, a son of the late Ernest L. and Minnie Fannin Gilbert. Clifford enjoyed antique cars, constructing buildings, loved die-cast cars and spending time with his family and friends. In addition to his parents, he was preceded in death by one brother, Herb Gilbert. Clifford is survived by his wife of 58 years, Rowena Polley Gilbert; two sons, Kevin D. Gilbert (Cathy) of Georgetown, Kentucky and Keith D. Gilbert (Sheryl) of South Shore, Kentucky; and two grandchildren, Kirk D. Gilbert (Sophia) and Skylar Jayden Gilbert. He also leaves many other family members and friends who will sadly miss him. Funeral services will be held at 11 a.m. Monday, April 15, 2019 at Dickerson Funeral Home in Vanceburg, Kentucky with Brother Jim Girdwood officiating. Burial will follow in the Lewis County Memory Gardens in Vanceburg, Kentucky. Friends may visit from 6 p.m. to 8 p.m. Sunday, April 14, 2019 and after 9 a.m. Monday at Dickerson Funeral Home, 110 West Second Street, Vanceburg, Kentucky 41179. Kevin Gilbert, Jeffrey McEldowney, Keith Gilbert, Scott McEldowney, Kirk Gilbert and Jamie Vendera will serve as pallbearers. Jerry Littleton and Skylar Jayden Gilbert will serve as honorary pallbearers. "Email Address" would like to share the life celebration of Clifford Dean Gilbert. Click on the "link" to go to share a favorite memory or leave a condolence message for the family.